Well in the past couple of weeks I have written and you have read a dozen of articles about Innovation. A question might come up in the mind about the about the reasons behind such a huge aggression behind innovation. The reason is simple and not a mathematical complex formula. I find innovation is drying up and even if it comes its being more rejected due to the aftershocks of 2008 post recessions. We must accept that in order to strive growth in the coming decade’s innovation is the only way to survive and develop new living means for the unemployed global mass. We need innovation in every profession and in every business. Today I will present your certain facts where innovation and innovators are being killed without proper reasoning followed with the process of designing the innovation way. Well I am not an expert but its from my research finds I find the inputs to be valuable for my readers. One of my recent finding was that innovators are being killed and were killed in the past decade. Results being expected from the innovators are mostly compared with magic. This is the beginning of the problem. Innovation investments are huge in the initial days and the successes from such innovation are usually low. The same has applied for iphone and also for Microsoft. This risk can be eliminated if we design PainStorm session for our consumers. Well PainStorm is nothing but a session through which corporate collect information with direct interaction with the consumers about their pains in an particular product/segment/process or anything related to the objective of the company. One of the biggest features of this process will be that even after designing the innovation as per the PainStorm session the corporate will again get back to the consumer to let them know about the final innovation. This reduces the risk of failure and increases success in every probable steps. Mobile Bazaar was an similar product which was designed after following the steps of PainStorm. The story is like this that the company went to the farmers and certain numbers of innovators were plugged with framers for a week. During this phase the company understood the entire process of farming and its various problems. Among the several hurdles the biggest was storage facility which was very less resulting loss. The innovators came back to the company and designed the process of Mobile Bazar through which buyers and sellers can text message each other demand and supply information. This improved the farmers prices by 20% where was losses got zero. Innovation works best through PainStorm. More than Innovation we need innovators. Every company needs to leave space for it employees to come up with innovative minds where innovation can breed. Compliance and Risk management department needs to be educated and needs to honor the innovation and innovators. Since I find Risk management is more concerned about showing its own work rather than working in real terms for the companies’ benefits. Compliance needs to formulate flexible and not rigid regulations where innovation and innovators die within the womb of the mother. Innovators are not the outside people but the people within the organization who are in the process of business. Another prime mistake which is being done from the companies’ heads is that they expect innovation to be new product or process. Well innovation cannot be every time be like an iphone product. Innovation may come from the ones which were rejected previously as it did not match with the goal of the company or ego of the senior management. The biggest truth behind failure of innovation is the hypocrite nature of the top management and the tussle behind the leader of innovation team and no leader’s team. I find that in innovation meetings where new process or products are being presented they are simply at first sight being sent to the elimination wardrobe. Yesterday’s rejection might be based upon the secondary demand of the same for the consumer but today the same might be primary for the consumer. Well when we say that everything changes consumer demand changes very fast that the consumer itself. A brilliant product can lose its sheen since marketing and distribution process is not being informed in full extent neither they are into product design process. Neither the CEO nor the COO of the company will go for selling the product to the end user. The top management of the company should only come when the lower level management is confirmed about the strategies of innovation and its benefit to the end user. Well the greater throw may come from the weaker hand. Backward integration is the key to success of an innovation. If marketing and sales team are not included in the innovation process then despite of a best product the company will find death in its success. It being best taken that CEO and COO are the people who are appointed by the shareholders for the benefit of the company and they carry couple of decades of experience Well they have earned the experience prior to 2008 and not during the recession. The quick gainers of experience are the ones who are selling on the street. 2008 has changed very experience and its high time that we can’t afford to spend another decade to gain experience under the recession phase. CEO and other top level management need to know that quick learners are also beneficial for the long term perspective of the company. Innovation in marketing process or anything in an existing product can produce spellbound results in an short time frame. But innovation fails since the initial baseline of expectation and marketing expectation fails to understand the strength of the innovation. I find innovation presentation and designing process team includes only the top management. This is one of the biggest mistakes of the companies. 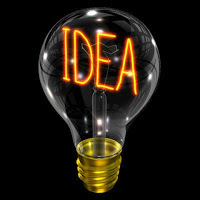 Innovation ideas and inputs should come first from the lower level of the management since they are the ones who will sell the product to the end user. If an existing product life cycle is dropping we find through our research that often out of 10 usp of a product 7 are being missed while selling the product. A small innovative process can change the product positioning and marketing which increases the life cycle of the product. Hence when the same management was buys in drilling innovation of an new product a simple process innovation can change the current product life cycle. We simply ignore these innovation concepts. Since, as I said earlier that by innovation we mean magical returns. Limited vision is a big threat to the innovation process. 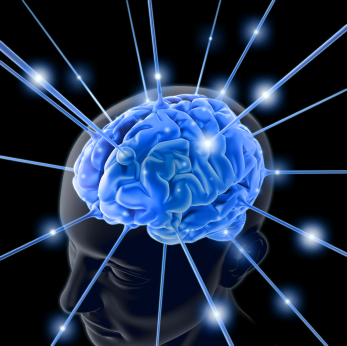 I find further in my research that product offering also plays a pivotal role in the process of innovation. Certain products can be offered in bundled format where as certain can be given separately. Reshuffling the two can be of great success of the innovation team. Much of the thrust on innovation is being given to beat the competitors which often works in a haphazard way creating short term sparks only. This devil needs to be avoided. One needs to spend 80% of the time to understand the consumer and the reaming at the back of innovation and innovators. Low cost of production, higher volumes, efficient raw material management and one costing model based on specific economic condition followed with an average percentage of growth clubbed very year; all these days are now over or on the path of extension. These cost management techniques were feasible before 2008 global recession and before the Indian slow down economic phase of 2010.Mass volume based sales proposition hardly exist and even that happens like a magic to specific products. Variable cost is the prime are of focus for the cost accountants but I find that after 2008 recession and 2010 of Indian economic slowdown fixed cost has a huge area to be factored while designing cost structures for products. In this article I will be trying to derive the thought behind fixed cost component which is more important than managing the variable cost. After all the sucess of an enterprise depends upon the cost structures. For customer retention and acquisition are two different perspectives which can only be served in an economy like India through mass selling. Developed economies don’t believe in the theory of mass selling they believe in mass value creation. I India we sell to convert the product into cash but in developed economies selling mean value creation. Selling products in rural India is a challenge. It’s easy to say that development and expansion and there is stupendous demand in rural India for consumption of products. But rural India is scattered. Hence to built the network over these scattered rural India we need high levels of cost for customer acquisition and retention. We hardly think about these when designing cost structures for products. Fixed cost is a bigger component over here. Variable cost is left at the door of cost of production. Fixed cost has a greater role to play for rural consumer acquisition and retention. If ones product does not needs much education to consume will leave negligible cost for use of the product for the end user. But if my product needs consumer education and also training to use the product then simply calculate the cost associated with such product distribution cost. It’s an high fixed cost associated with that product. 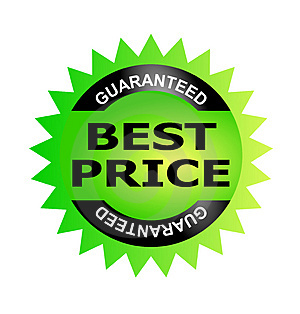 Then what should be the pricing techniques and cost structure designing process for these products. Well this where we cost accountants needs to drill hard and raise ourselves above the traditional factors of cost designing. When we will design cost structures for product we need to factor in the rural distribution factors which will help to design the profit module for the product. In poor markets we have high level of fixed cost and we have to judge that beyond numbers. Well according to me price cannot be uniform for every market. Infrastructure cost for distribution of the product in rural India needs to calculate. If the same urban infrastructure can be used for distribution for rural products then this will reduce the burden of higher cost levels for the product. If ones product needs less education in urban areas for consumption and higher for rural then that part needs to be well accounted while arriving at the price of a product. Mass selling concept can work only best when proper pricing and cost estimation have been built for the products and markets. Otherwise after a certain period the product will collapse before it could enter into growth phase. This will damage the product life cycle and also the project cost. In between I would like to accentuate the probable areas where cost structures fails while designing the product pricing. • Higher investments in operational cost followed with wrong market cultural behavior analysis. • Conventional product sales revenue calculation. • Customer acquisition and retention cost not being accounted. • Failed analysis of marketing and distribution cost. Well the above list should have been big but I kept it short since I want my readers to fill up the gap. Transportation cost is also being calculated in an wrong way. Travel time cost should be accounted since that increases the selling time cost. The more time one spent on transportation the more the product loses its value and hence it pushes up the cost of selling in the long term. (When demand comes supply becomes lag and hence the product loses its market). I have found that capital expenditure related to distribution of products and the business model itself are substantially higher the cost of the production. In rural India we need the following cost factors like warehouse space, office space, technical staff, office amenities and above all servicing centers. This is why I said in the above lines price cannot be uniform at every place. Now while designing cash flow for an product we need to take into factor all the above mentioned aspects so that we can take up an higher level of discounting rate so that to derive the correct NVP of an product or project. If we don’t take into account then cash flow will take a lengthy time than the projected which will damage the entire business operation. Low cost of production and mass selling needs to be linked with pushing up the variable cost and leaving enough space for the fixed cost to accommodate followed with improving the gross margins above the average margins which finally makes it possible for selling the product in rural India. In countries like India we need cost structures to be designed in accordance to the culture of the buyers. 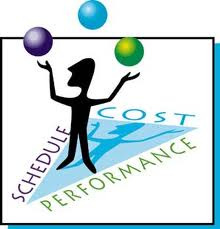 If one does not push up the variable cost then fixed cost will create a long term sustainability problem. An Economy which has made a turnaround from the tyrant rules of Mao to an economic engine of the global economy after 2008 debacle. It needs no praise that due to its economic policies China pulled and save the collapse of the 2008 holocaust.2012 has been one of the biggest eventful month for the Chinese economy. The 12th Plan got introduced followed with new FDI policy and now the new President of China. China has been always being trying to develop and design new vision for the global economy. On my recent study about the economy I find that Chinese private firms are doing huge investments across industries and countries. The proof of the pudding is that the 5 Chinese private firms went to be listed on the Fortune Global 500 ranking that was released in July 2012. 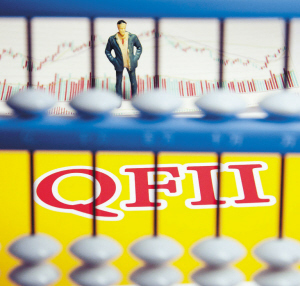 Last year, about 45% of China's outbound direct investment in the non-financial sector came from non-State-owned enterprises in china which is a remarkable vision outlook by the private firms in china. One of the prime reasons for increasing the investment appetite is greater percentage of Return on Investments being envisaged and achieved by the Chinese private firms. In the recent policy declaration china has widen up the gates of FDI inflow. This is well found from the attraction of the inflow in the first six months of the year. China attracted 59.1 billion U.S. dollars in FDI while the U.S. attracted 57.4 billion U.S. dollars, according to the latest Global Investment Trends Monitor. But what made china to be so bold into framing polices to attract the entire inflow of FDI capital into their own economy. According to the statistics of news release of foreign investment, from January to September 2012, Newly Approved Foreign-invested Enterprises amounted to 18,025, down by 11.67% year on year; and the actual use of foreign investment reached US$83.423 billion, down by 3.76% year on year. Well the numbers can be improved in the next coming years but the prime reason is that china needs huge capital to reduce the gap and build the inbound economic infrastructures of china. At the same time despite of an slowdown in the global economy china’s inflow of FDI was not very dramatic fall, in other words it kept the momentum alive despite of the global turbulence. • Tax revenue from domestic trade increased at an annual average growth rate of 24%, with 102.7 million employees hired in domestic trade in 2010. The numbers and achievement are well reflected in the Chinese GDP number in the 11th plan. Under the 12th plan it has further extended and broadened the trade opportunities which includes. • Total retail sales of social consumer goods to achiev a growth of 15% amounting to approximately RMB32 trillion. • Improving the cycle of commodity flow into the inbound system of china. • Improving and modernizing the circulation process which invites infrastructure and IT investments. • Boosting up domestic trade and improving the penetration level of such trade activities. The above expectation is reasonable and may not sound to be very aggressive but the result being expected to achieve is strong enough for the various states of Chinese economy. The recent drop in FDI inflow in china is not an drop but its well above the level compared with the steep slow down in global economy married with several GDP cut down economy wise by World Bank, IMF, rating agencies etc. If we make a reverse loom towards Chinese FDI investments in other economies then we will get further clear understanding about the long term visionary outlook by Chinese think tanks. China's fast-growing direct investment in the United States has created jobs. The study, commissioned by U.S.-China Economic and Security Review Commission, found that Chinese-owned firms in the United States added between 10,000 and 20,000 workers in the past five years. In the first nine months, China's outbound investments jumped nearly 30 percent year-on-year, reaching $52.5 billion. They acquire businesses in the US, Europe, Africa, it's a good timing because prices are low, and they are selective in the ways they make acquisition. 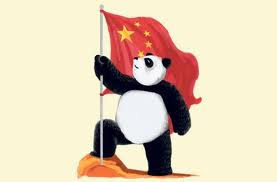 Hence china is now holding substantial assets in different economies which give immense power to china to increase its GDP growth in coming years. Since flow of income from these countries will get added up to the GDP of China which will give a balanced and a stable growth to Chinese economy even in times when Chinese economy will be in doldrums. Its nothing but risk mitigation by diversification of assets by china. EMERGING ECONOMIES CORRUPTION IS ABOUT TO INCREASE. Often the debate about corruption is being heard in our day to day activities of life. Corruption is being blamed for the slow growth of the economy. But I would place it as the path of growth. Since corruption increases the speed of a process, saves time and final achieves the desired end results. With global slowdown I find that the emerging economies particularly India is going to face new heights and altitudes of corruption. Global slowdown has compelled to invest in emerging economies and within emerging economies India and China are the biggest absorbers of foreign capital. To make my thoughts to be well read to all of you I will give an example from our day to day to life where one will get an idea about the level of corruption growth to be achieved in coming years in emerging economies. I am Deputy General Manager of an overseas company dealing in cosmetics looking for penetration of my products in to India. Now if want to do the business directly in India I will not be able to do since according to the Indian guidelines I have to have an company registered in India under the companies act 1956.Now I hope everyone knows the cumbersome process of opening up an company in India. Now as I is employee of my company heading the Indian business I would not wait for the normal procedure of opening an company in India. I will place bribe on the table and get my work done easily without much fuss. For getting trade license I will bribe and get it without much fuss and in the same process I will clear the rest of the requirements for opening up my shop in India. Now my readers will find that I am the culprit who is spreading the seeds of bribes into India. Well just try to look into the glass of water from the other way round. If my company is stuck with long and delayed and harassment full legal procedures then what should be the role of the company in that case. It very easy to be said than done, Indian governments declaration about various FDI policies and other policies which invites foreign capital itself is an open opportunity of the corruption to gain momentum. But are we prepared to handle such things is a question of endless debate. We might write thousands of quality books and papers on integrity and corporate ethics and principles but if the government policies are against the economic growth of a country then what should be the step for that economy is a question of great thought. In US and Europe we find government agencies being formed to track the malpractices being adopted by corporate as well as by government agencies to promote capital profits. Well thankfully in India we don’t have such things and even if it comes its around beyond lacs of corer being stolen from the exchequers pockets. Well the point is not restricted to opening up new business but also related to export, import and even to small social factors too. To generate stupendous growth corporate coming into emerging economies bribery and corruption is going to the strongest tool to be utilized. Hence the first conclusion that can be drawn is that emerging economies are trapped under their own shield of corruption. Indian needs a GDP growth of 8% above hence that can only be achieved if legal network is user friendly. Only pumping inflow of capital into the economy cannot be path to success of an economy. The next part I will focus towards Capital Integrity. Well the word might sound new but it has old meaning and highly required at the corporate level. 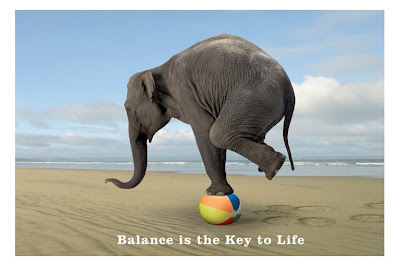 Capital Integrity needs to be planted at the higher levels of the management. Well this too might sound like an strange theory. Its very common that most of the targets and instruction of achieving deadlines comes from the higher level of management. They are the parents of the corruption which is being acted and implemented by the junior or lower level management. It took lot of guts to write the above statements but the truth can be understood by the ones how the game under pressure plays. No one dreams to take the responsibility of slowdown but it’s high time that corporate who are coming into emerging economies needs to identify that legal bottlenecks are a part of the culture of the emerging economies and it will take a decade to replicate the process with the current developed economies. CAPITAL BUDGETING ….CMA needs a new look. We have found that in India and in U.S economy corporate are having pile of profits in their books in the form of cash. 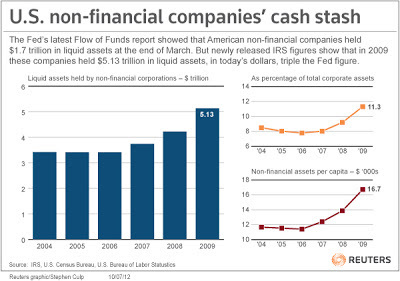 Currently US corporate are having around $2.5 triilion as cash in their books of accounts. But they are still reluctant to drive into the ocean of investments since capital budgeting techniques will fail to capture the recessionary factors. In order to validate my data according to the recent report from Moody's Investors Service non-financial corporate cash position rose to $1.24 trillion at the end of 2011. The report further states, that nearly $700 billion, 57% of the corporate cash total, is held overseas which includes emerging economies. The below image depicts the same story. When I was about 6 years old I used to travel to the bank with my father. I use to be one of the events for my small life that point of time. Going to the bank and the ambience of the bank system was an of great experience to my life. Waiting at the counter for withdrawal of money use to help me skip hours from my study schedule since it use to take more time to withdraw money. The Pension day use to be hectic for the banks since they have to deal with so many papers of pension withdrawal forms. 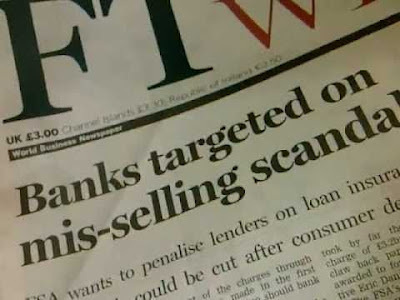 Today the same banking system has changed more than any one dreamt about it. Technology has worked as an accelerator for turning around the entire banking system process. Now we get scared to hear that we will have to visit bank branches for any work. Passbook has been replaced with soft copy of statements. Free Services have now turned into paid services and moreover banks have become small in structure size. 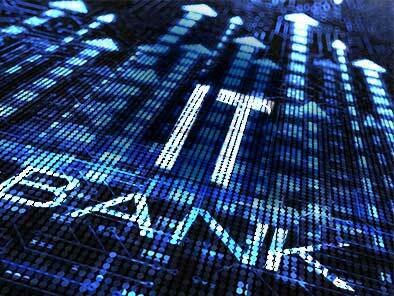 Internet has replaced the business operation module of the banking system. The banking system adopted technology with the prime focus of reducing the crowd arriving at the banks door. With the growing new generation adoption of internet and other technology helped banking system to introduce internet banking which reduced their cost of operation as well as reduced their fixed cost of operating too. Earlier banks required huge space for running their operations and managing the crowd at their door step. With internet banking physical office got replaced with virtual office which reduced the fixed cost part of the banking system. Introduction of internet banking further reduced the stationery cost of the banks primarily in the form of papers. But more than cost savings banks went ahead with expansion of their business models which has increased the banking network penetration. By saving cost on paper and rent banks invested heavily on product innovation married with marketing. Earlier banks never used to do extensive marketing of its products but with technology innovation they came up roaring up products marketing which mainly focused on 3rd party products. Today banks are offering services married with products. Technology has increased the efficiency levels of the banking system in terms of internal data management and better customer efficiency. • Transformation of service channels. • Collaborative channel management strategy. • Branchless banking for financial inclusion. • Efficient customer data management. Today banks are more able to design products according to the customer usage simply by grilling hard the data management system. The design the credit card limits according to the usage through efficient data management. ATM has becoming banking withdrawal centre for all of us. Today we have to wait for few minutes to get the money in hand. Mobile banking has also increased and reduced efficiency and cost respectively. Banks are now promoting mobile apps demonstrating their easy process of services. Now I find the competition among various banks stands at efficient process of internet banking with less cumbersome process. Designing of easy process of apps is the new innovation being derived by the banks through which further business growth in acquisition of new clients. Indian banks are finding more business growth through innovation of apps and banking software even at the back end of the system which will help them to get on to the nerves of the consumers. The recent foray of the Indian banking system towards mobile banking is the biggest proof of the growing hunger of increasing the banking network in India. India has 700 million+ mobile subscribers, but only 240 million individuals with bank accounts, 20 million credit cards, 88,000 bank branches and 70,000 ATMs. Of the households without a bank account, 42% have at least one mobile phone. This is just a snapshot into the penetration that mobile has achieved in a relatively small period of time. Transferring of money has increased over the past couple of years which gives immense opportunity for Private Equity segment to do investments in Technology. Mobile banking in India is set to generate a fee-based income of INR202.5 billion (approx. US$4.5 billion) over the next five years, mainly driven by lower transaction costs, favorable regulatory environment and the UID project. By 2015, US$350 billion in payment and banking transactions could flow through mobile phones, compared with about US$235 billion of total credit-and debit-card transactions today. As mobile-money initiatives take shape, the projected fee income in India from mobile payment and banking transactions could exceed US$4.5 billion by 2015. The above data is well clear to make one understand that Private Equity will find substantial growth in investments from the this gen next banking business models. The success of MPesa in Kenya has provided an appetite for a host of global players whose entry into the Indian market is only a matter of time. In other words it has opened up the gates for more investments to come and build the business growth opportunities. NPCI, encouraged by the launch of IMPS for individual-to-individual money transfers, is all set to foray into the field of merchant payments. RBI has already permitted the payments institution to go ahead with merchant payments and NPCI is all set to start the operation with 7 banks. A question might come up that what type of revenue growth one Private Equity investor will get from this segment in coming days. Well electronic payments from below 5% of the total value in 2005 went up to 88% in FY10, largely due to the electronification of business-to-business payments. Now, one can easily make the calculation of ROI being generated through this industry. At the same time Indian banking space is yet to penetrate into India as compared to the developed nations. In simple words we are still far behind. More penetration will lead to more development and use of these services which results to stupendous growth for the investments. India is sold in the hands of US and European economy. This is the new slogan which might be used across the nation from Monday 17th September 2012 onwards. Every political party will come up with various types of activities like Traffic Jam, and Violence Activities in order to protest against the reform which has been declared on last Friday by the Indian Government. Much of the debate is concentrated towards the FDI in retail business. The topic has been described as a most sensational topic from the time the concept was printed on an paper. Various states at the same time have welcomed this move like Assam. But the most astonishing thing is these that will FDI eradicate the retail business or will eradicate the political based middle man engaged in the process of this business. Farmers will be derived from their rights is the most common verdict being spread across the country right from the time the concept of FDI in retail came into papers. Well those who are saying that farmers suicide cases are increasing and government is not doing anything to save the lives of the farmers for them FDI in retail is the best policy action being provided. Moreover till date Indian farmers were struggling to make a living. Over the past year with 18 of the 28 states reported more suicides among the farmers. The farmer suicide graph has been steadily rising. According to the National Crime Records Bureau (NCRB) data from 2009, more than 216, 000 farmers have killed themselves since 1997. Add the figures for 1995, 1996 and 2010 and the total crosses 250,000. That is, two farmers a day for the past 15 years. Well where are those political parties who have been crying today protesting against the FDI in retail. Now please don’t pass on the blame of the suicides on the UPA government. The state governments were the prime players behinds such activity. Farmers' demands were not taken into account while preparing the relief package. Neither were civil society organizations, local government bodies, panchayats etc. consulted. All these are being designed at state levels and then it’s being sent to the Central Ministry who governs at that point of time. Hence now one can understands why political parties are crying over the FDI in retails. The relief packages were mostly amalgamations of existing schemes. Apart from the farmer helpline and the direct financial assistance, there was scarcely anything new being offered. Pumping extra funds into additional schemes shows that no new idea was applied to solve a situation where existing measures had obviously failed. In total no one ever heard the voices of the farmers. 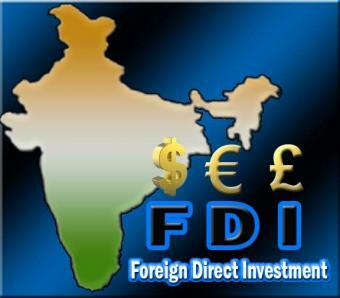 All these political parties who are against of FDI in retail are due to loss in their business of being an middle man. Manny of my friends will come up and say that Indian retail is an huge unorganized market. Did anyone tried to make the market organized so that middle man management got eradicated. Keeping an market unorganized gives immense opportunities to the middle man to make stupendous return at the cost of farmers and common people. Inadequate storage facility is one of the biggest blessings for the farmers along with ruthless low prices being offered to a farmer for his productivity. For example we all know that a piece of a cauliflower cost an farmer Rs.2 whereas the same is being purchased by us at Rs.20 ten times of what the earnings being made by the farmers is being pocketed by the middle man. Those political parties who are saying that farmers will be deprived can any one of them explains till today how much they have already being deprived. When the farmers struggle with lack of irrigation facilities and when they are not getting justified money from their hard works how the political parties who are crying will justify the same. Veteran journalist and The Hindu Rural Affairs editor P. Sainath said that India have been undergoing the largest catastrophe of our independent history — the suicides of nearly a quarter of a million farmers since 1995. We are talking of the largest recorded rate of suicides in human history. In 2007, Agriculture Minister Sharad Pawar, in a written reply in the Rajya Sabha, had said that there were more than 149,000 farmer suicides between 1997 and 2005. If the FDI comes at least to some extent this middle man management will get eradicated and some real benefits will pass on to the farmers. These political parties who are crying for the same has the biggest vote banks which comprises from these middle man management segment. The political parties made billions of money being a simple middle man management fellow. NREGS and such other type of job opportunities were created since farmers were unable to make proper living from farming. Did any single political party come against of NREGS and other schemes? No they never came since middle man was present their also to make their own livings from such government policies and schemes.. Then what happened with FDI in retail and why is this being objected so highly. The answer is simple middle man will be removed and direct contact will be established with the farmers. Loan waiver was executed by UPA1 to Rs.60000cr (defined in books) and also an equivalent number over the last decade. The government provides this waiver at the cost of tax payer’s money. Hence further waiver will increase the tax slab of the common people. Those political parties who are crying are the ones who live at the cost of common people. Agriculture employs 60% of the Indian population today, yet it contributes only 20.6% to the GDP. (Isaac, 2005) Agricultural production fell by 12.6% in 2003, one of the sharpest drops in independent India's history. Agricultural growth slowed from 4.69% in 1991 to 2.6% in 1997-1998 and to 1.1% in 2002-2003. (Agricultural Statistics at a Glance, 2006). There is a significant drop in the agriculture productivity and gen-next is moving to other sectors and shifting to urban areas since farming and agriculture does not provide them living. An NSSO2 survey in 2005 found that 66% of all farm households own less than one hectare of land. It also found that 48.6% of all farmer households are in debt. Where was these political parties at that point of time who are raising voices against FDI in retail. A food price has gone up and we have to cut down on other segments to manage with our daily expenses. As more famers move out from agriculture import bill of India will keep on increasing since we have no productivity at home. Indian political animals need to be educated so that new ideas and policies get understood by them. Above all these the movies Called Peepli Live gives an better picture of the Indian farmer story. Well now we have to wait to see a movie opposite to Peepli Live. Sales process has changed over the years across the globe across the every market segment. In my recent study I find that not only banking sector which has lead to a strategic change in its business process through online transaction but the same theory has already spread across other industries. Sales and Brand use to move in parallel ways but now with the innovation of technology sales have found a new identity beyond brands. Technology has only accelerated the payment mechanism married with brilliant virtual presentation tactics. The changing digital age is well found within the retail segment of the market. In the coming decade the more industries adds to the organized market segment we will find more virtual business modules coming up. Innovation is a never ending game hence more brilliant and quality virtual sales process is about to come in coming decades. More importantly the technology innovation in sales process has pushed up the number of unorganized players to shift towards organized market segments. Today the competition is not of getting more number of sales but to get the online segment of commercial business to grow parallel or beyond the traditional mode of sales. Today we have Flipkarft, Yebhi.com, HomeShop18.com and many more has changed the culture of shopping as well as for the companies to have all their products under one platform without having a fixed cost component like a shop where one has to bear rents in all periods. Business process needs to identify the changes in the virtual consumer market and rightly align strategies accordingly. Reading and mapping data days are now about to get over. One needs to have a deep understanding of behaviors of the virtual consumers since consumer change brands according to their easiness. Days are gone when the brand change used to happen due to product prices, now consumers change products and brands which act as a small glitch to them in the process of buying the same. Indian Financial markets are yet to explore the M-commerce. Mobile trading options have been opened up but for the payment segment we are still flocking around the internet system. 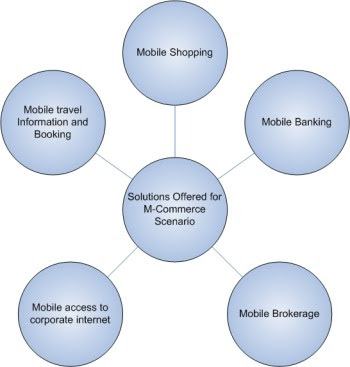 M-commerce has not yet taken up the broking and financial business market. Recently Reliance Mutual fund came up with M-commerce platform for investments in mutual funds. Indian markets over the next 5 years will make a stupendous turn around. Innovation is now an integral part of M-commerce. Ecommerce has changed the virtual presentation style buy M-commerce will change the payment process. Smart phone is not a luxury for all of us hence we find consumers prefer easy ways or handy steps of payment. 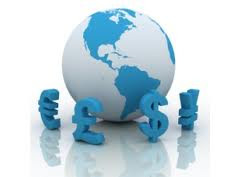 In most of the world particularly in the developed economies that are struggling to meet their inflation and GDP growth are shifting their business in virtual format since cross trade business models are on the verge of collapse since trade practices might be imposed in coming days. The days of PayPal through internet are about fade about since a smart phone has opened up the gates of Mobile payments. PayPal has also changed it business process with its introduction of Pay Pal mobile app which is being now replacing the internet age. Smart phones are coming up with PayPal software so that M-Commerce takes a new giant step towards the consumer market. Its similar like the E commerce, when it came into the system the market of retail took a giant step similarly M-commerce is all set to change the consumer payment system. In European economy we find that businesses of leasing properties are being done exclusively through E-commerce and rents are being remitted primarily through M-commerce. Smart phone has changed the business process of M-commerce. Private equity finds the business to be very lucrative in coming decades which has resulted increased demand of M-commerce investments projects. Indian banks needs to spend more resources towards M-commerce. Internet has changed their business process now M-commerce is all set to change the payment process of the banking system. I find the risk management segment of the banking space needs to be stronger since any failure of the system will hit back the Indian banking and retail market. Big giants of the consumer market needs to understand in detail about the various grades of risk and threat which might later on kill their M-commerce business strategies linked with sales and revenues. Well the market size of online retail industry in India is likely to touch Rs 7,000 crore by 2015 due to increasing internet penetration across the country, according to a survey. Currently, the online retail market stands at Rs 2,000 crore and is growing at an annual rate of 35 per cent according to industry chamber Assocham. Hence a long way is yet too travelled and the journey might just have started.